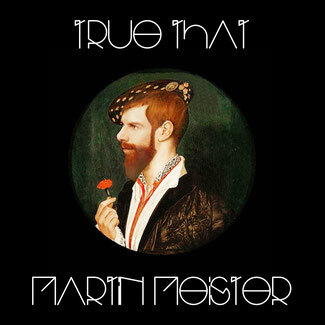 True That written by Martin Meister is now available worldwide on iTunes, Amazon and Google Play Music. Official worldwide release on 18. January 2019 on all streaming and download stores including Spotify, Deezer ,Tidal, Apple Music and You Tube Music. Available: worldwide on all streaming & download stores. Featured in the official Hype Charts by Beatport week 3 - 2019. 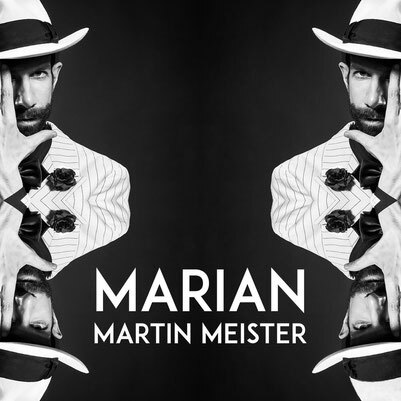 'When Do I Get To Sing My Way' by Martin Meister is now available on Spotify, Google Play Music, Apple Music, Amazon worldwide which includes Martin's Stranger Things mix. 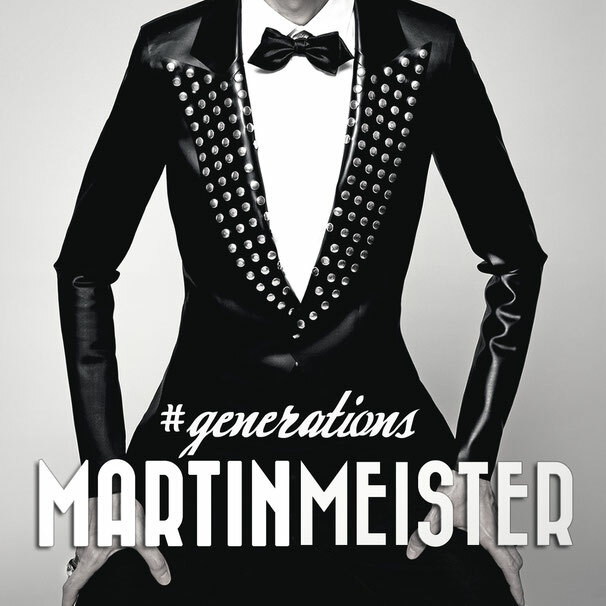 Subscribe to Martin's official YouTube channel and catch official new music videos -> HERE. 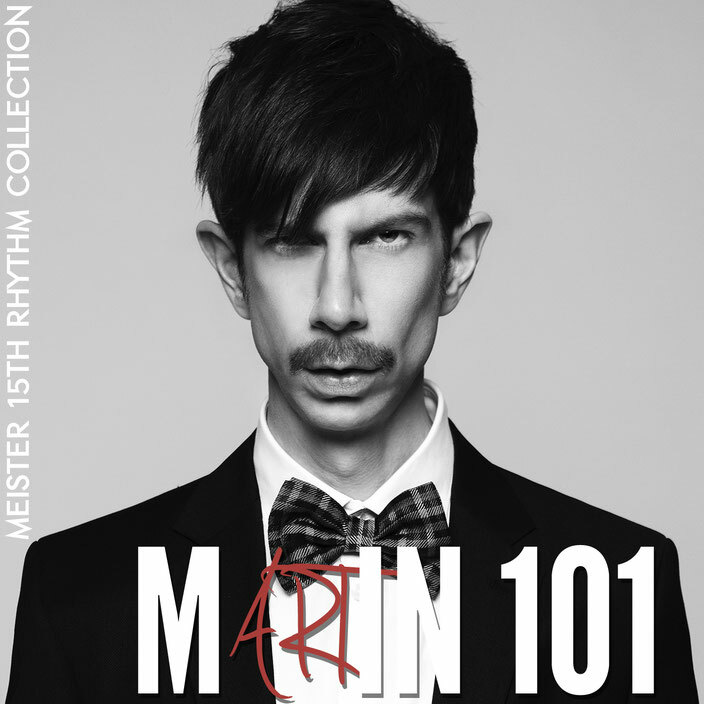 Martin 101 'Meister 15th Rhythm Collection' album. 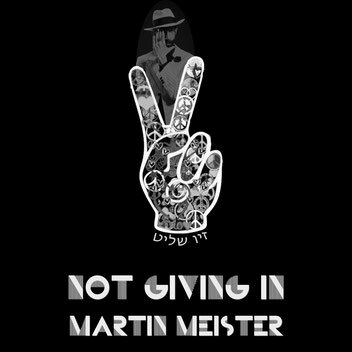 Martin Meister Not Giving In 2017 version. 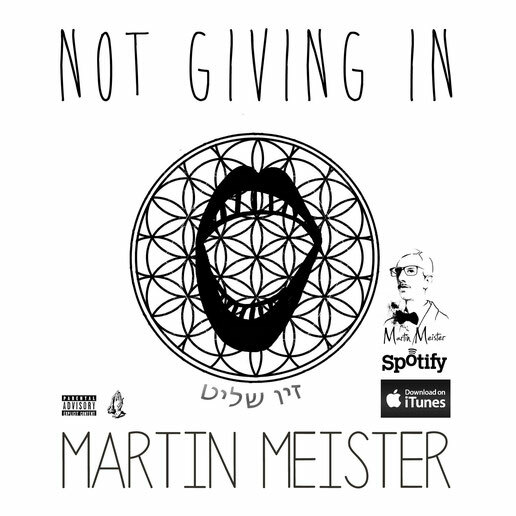 Martin Meister NOT GIVING IN 2017 (written, produced by Martin 101, feat. co-vocalist Ziv Shalit with Martin) available now worldwide on all platforms, stores and streams. Including Spotify, Tidal, Beatport, Google Play and Apple Music. 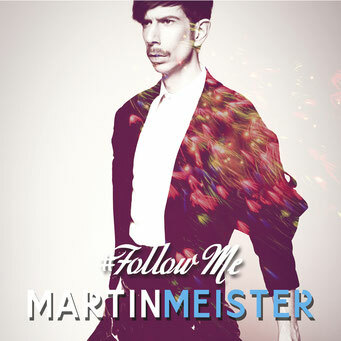 Follow MARTIN MEISTER's verified SPOTIFY page to be notified of new stuff. Available now MY WAY & MY WAY written & produced by Martin Meister. Its the follow up to the success of the dance/house club track NOT GIVING IN which featured the outstanding singer Ziv Shalit on co-vocals. Listen to My Way & My Way on Spotify, Amazon, Apple Music and Google Play. Follow us on Spotify to be notified of new music. 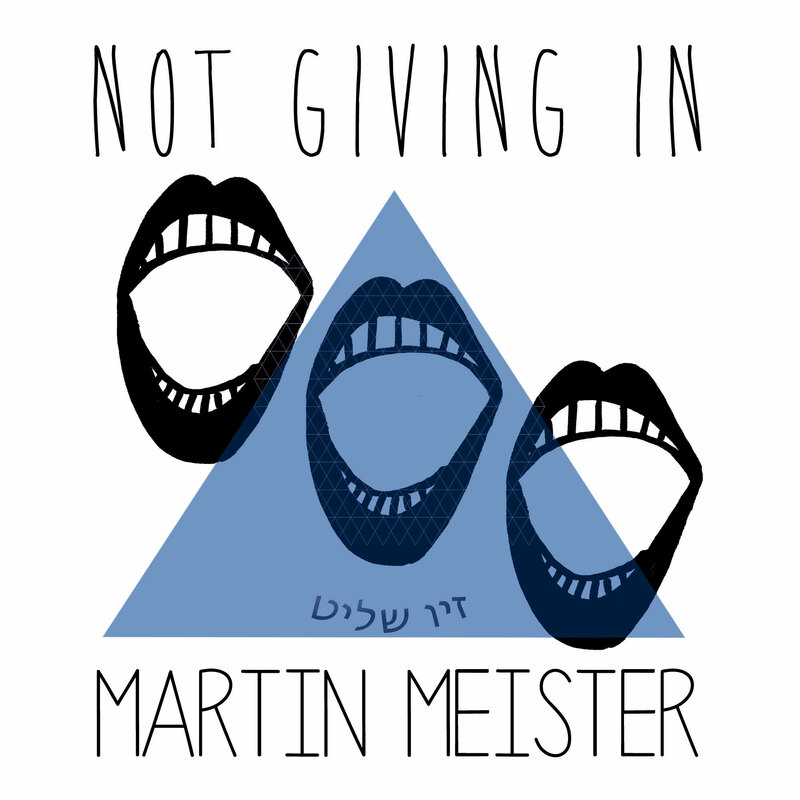 NOT GIVING IN by Martin Meister featuring Telfest LGBT short movie winner Ziv Shalit on co vocals. Check out the electronic chart featured Tel Aviv Beach house mix. 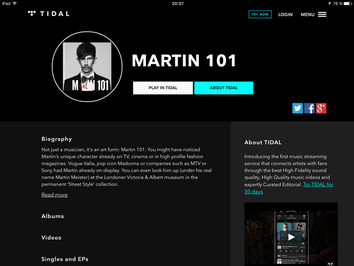 The entire electronica dance music release back catalogue of Martin 101 has been featured and added to Tidal, check it out here. 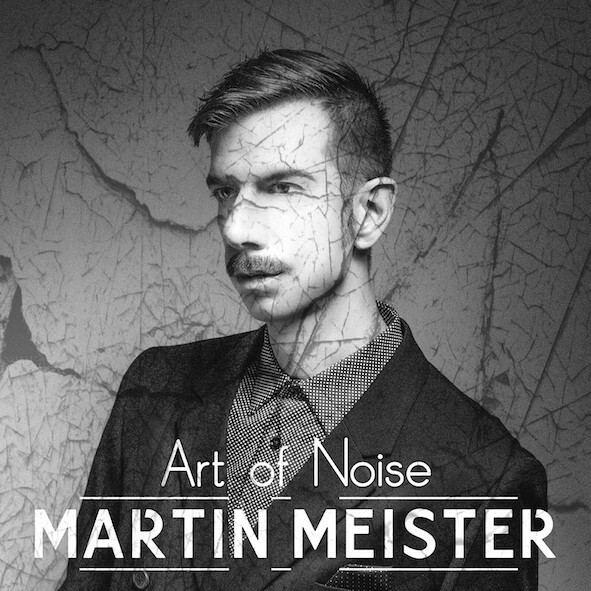 ART OF NOISE. -> on iTunes, Spotify, Google Play, Amazon- including the club tune STRAIGHT TO YOU. 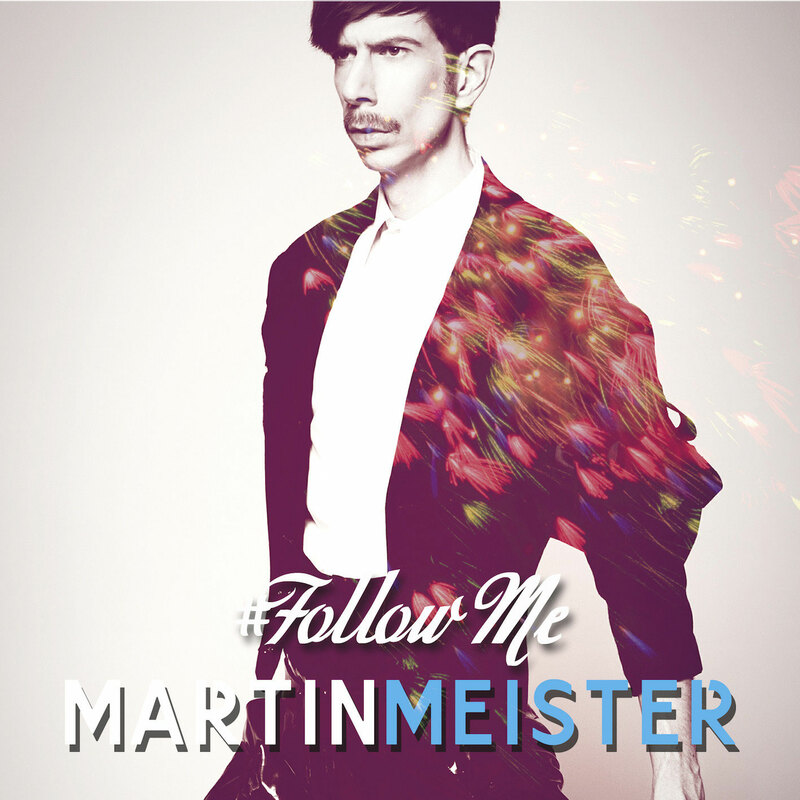 Martin Meister attending Life Ball charity ball 2015 with Amanda Lepore. 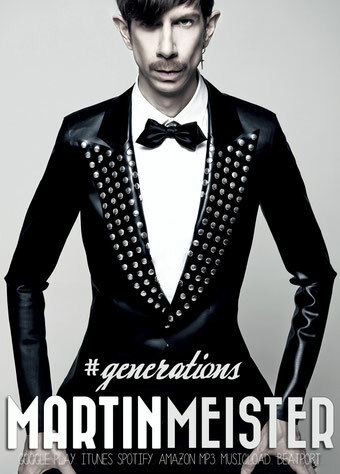 GENERATIONS. The Album worldwide on any download & streaming service. 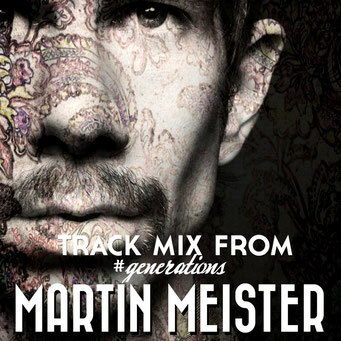 Spotify, Google Play, Beatport, Musicload, DJShop, Deezer etc.